I am a “loyal” user of loyalty and reward cards. In fact, I rarely grocery shop unless I have a loyalty card for that particular grocery store. I like saving money, or getting .05 cents off per gallon of gas… which I get when I shop at my local Ingles, or a free turkey for Thanksgiving, just to name a few perks I get from using my loyalty cards. And boy do I have a lot of them. Which is fine, but can be a pain when I’m at the store trying to find the one I need. 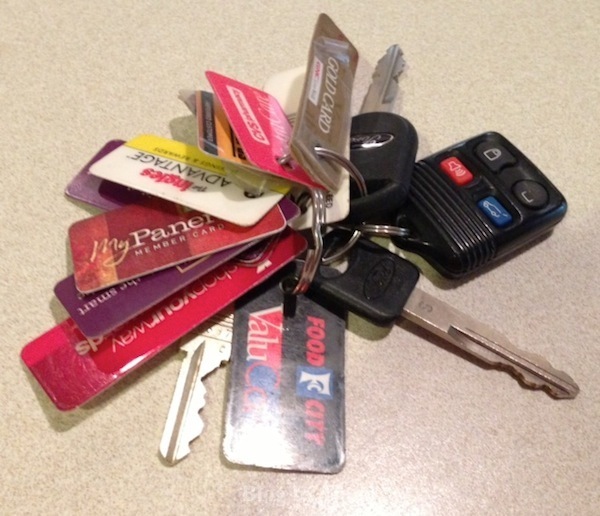 Not to mention, it would be nice to not have a key fob loaded down with all my loyalty cards. And that’s exactly why I love the idea of LOC Cards. Not to mention cleaning up all the clutter from my key chain. What is an LOC card? 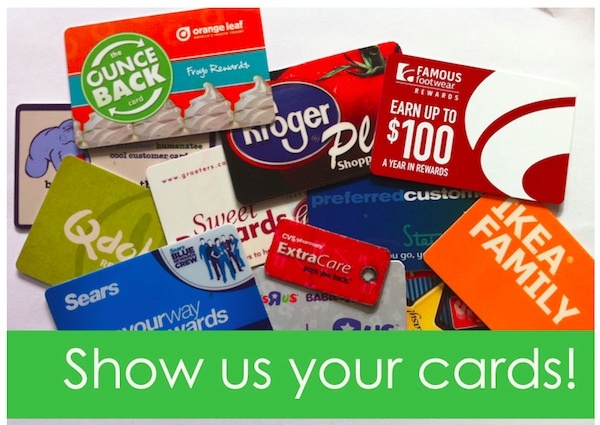 The LOC Card allows you to have a “single” loyalty card to enroll into participating merchant loyalty programs with a single swipe/scan of the LOC card. Once you’ve enrolled, you’ll be able to use www.loccard.com to manage ALL of the merchant loyalty programs you belong to. That’s right! — One central, secure location to review the status of rewards in all participating programs. How does the LOC work? LOC allows you to manage all of your loyalty/rewards programs from one location. When the LOC Card is swiped for the first time with a new merchant, the LOC Card will automatically enroll you into the merchant’s loyalty program. No forms or registration are required. The merchant will then communicate back the LOC site any rewards or special offers that you have accumulated, all this without requiring you to share any personal or private information. If you already belong to a merchant’s loyalty program, you will be able to link your existing brand loyalty number to your LOC card, and then you have one less card to carry in your wallet or key chain. I also love that the LOC Card is not only in the form of a card to carry in your wallet or on your key chain, but also as a smartphone app. I love the idea of using my iPhone, because I always have it with me. Then my key chain can actually hold what it suppose to hold… my keys. Oh, and be sure to enter the “Show Us Your Cards” Facebook giveaway! I just went to the LOC Card Facebook page and uploaded a photo of my key ring of loyalty cards and entered to win a $50 Visa gift card. Three people will win. YOU can be one of them! You can check their Facebook page to see what merchants are being added as they’re being added. Plus you can make suggestions and they’ll reach out to the merchants for you. Disclosure: This is a sponsored post. As always opinions are 100% my own and my differ from yours. I need to look into this. I have a tendency to either pass on or leave home loyalty cards because I don’t want to carry so many. That makes it so easy! I totally love this idea. I hate carrying around all those on my keychain I have a few myself.